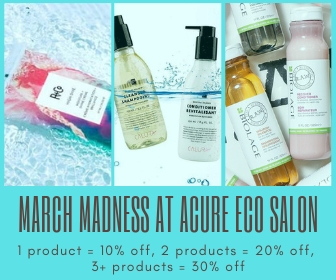 It’s March Madness at Acure Eco Salon! Buy any product this month, get 10% off, any two products, get 20% off, any three or more products, get 30% off! Get the latest – Connect with us on social media!